Twenty-two judges, personalities and experts, from twelve countries designated by the international secretariat of the Permanent Peoples’ Tribunal (TPP), listened for ten days to a summary of hundreds of testimonies from organizations and communities across the country about environmental devastation, contamination from genetically modified corn, destruction of food sovereignty and repression of those who resist the trampling of their rights, their cultures, their lands, forests, rivers and forms of social organization. The days were intense, and the reports are breath-taking. When seen all together, it is a lot of devastation. But it is also notable and full of spirit to see the effort and dedication of thousands of people, of hundreds of communities, and rural and urban organizations to show their realities. They documented abuses suffered while maintaining their capacity to resist. In all this, they still find ways not to be victimized and beyond … they find ways to rescue the joy of life even amidst such pain. They still find ways to be rural people, small farmers, indigenous peoples, supportive neighbours and caregivers of the corn, of the cornfields, of the forest, of the town squares, of the assemblies, of their cultures and their self-managed economic and political forms. They also considered the testimonies of Mayan organizations from the Yucatán Peninsula, which showed how the planting of GM soya bean destroys beekeeping and the revenue of thousands of rural indigenous families in order to favour a few agricultural employers and Monsanto. GM soybean kills bees by the increase of pesticides. The pollen from GM soya beans is contaminated, which prevents the export of honey. It also promotes the devastation of forests in order to develop soya bean fields that can be sprayed from airplanes, thus causing great chemical contamination, diseases and poisoning the land and water. The jury also recommended eliminating the production of GM soya beans. [The jury’s ruling] was based on consideration of offences to the peoples, to the environment, and to national and international food security, but it was also based on documents submitted by scientists and farmers showing that tested alternatives exist for producing sufficient corn without using GM methods. The scientists’ and farmers’ documents also showed that a variety of crops can be cultivated, including non-GM soybeans, on the Yucatán Peninsula. Finally, it was demonstrated that if the government proceeds with the planting of GM corn in Mexico (a historic crime threatening 10,000 years of history and corn’s future both in its cradle and in the world), it is not in order to meet any need either of the population or of large-scale farmers, who can plant non-GM hybrids, but exclusively to favour the multinational corporations Monsanto, Pioneer, Dow and Syngenta. Another demonstration of the crimes against humanity occurred during the hearing on repression of social movements. Forty-two historic and current cases were presented, whose victims were people and organizations that are justly resisting events reported during the other hearings. Philippe Texier, former judge of the French Supreme Court and a member of the UN Committee on Economic, Social and Cultural Rights with forty years’ experience in the TPP, declared that “the situation of rights violations that Mexico’s people and communities are experiencing has been made almost invisible, both by the press and by international diplomacy,” which must change. In order to understand the far-reaching significance of these statements, we remember that this Court’s mission is to prosecute crimes of genocide, war crimes and crimes against humanity. To all popular, social, political and human rights organizations, family, friends and people in solidarity with victims of the counterinsurgency war in the state of Chiapas. On 6th and 7th December 2013, in Susuclumil, Tila, Chiapas, popular, indigenous, human rights, and victim organisations and people who participate in the “Session on the Dirty War – violence, impunity and lack of access to justice” of the Permanent Peoples’ Tribunal (TPP) Mexico chapter, we will meet especially with witnesses, survivors and relations of the communities in the Northern, Jungle Forest and Highlands areas of Chiapas, all victims of the strategy of a war of counterinsurgency and extermination in the ‘Plan of Campaign Chiapas 94′ implemented by the Mexican government after the armed uprising of the Zapatista Army of National Liberation (EZLN) in 1994, which as a result led to dozens of enforced disappearances, killings, forced displacements, sexual violence and massacres, all crimes against humanity which still remain unpunished. The purpose of the gathering is to denounce and prove the serious violations of human rights that the Mexican government has committed against the people of Mexico, especially the indigenous peoples of Chiapas. We ask the organisations convoked for the above events, that if it is your wish to do so, to ratify with your signature the call to this new prehearing . Please note that the final hearing of the Session on the Dirty War = violence, impunity and lack of access to justice – will take place, with the presence of international judges, in May 2014. Acción Urgente para Defensores de Derechos Humanos A.C (DF), Centro de Derechos Humanos Fray Bartolomé de las Casas A.C (Chiapas), Colectivo Contra la Tortura y la Impunidad (DF y Guerrero), Colectivo de Mujeres “Tejiendo Resistencias en La Sexta” (DF), Comité Cerezo México (DF), Comité de Familiares de Detenidos Desaparecidos “Hasta encontrarlos” (DF y Oaxaca), Comité de Solidaridad y Derechos Humanos Monseñor Romero (DF), Estudiantes del Posgrado de DH de la UACM (DF), Red de apoyo a la salud en Acteal (DF), Sociedad Civil Las Abejas de Acteal (Chiapas), Telar de Raíces AC. (DF), and all the organisations, networks and individuals who are going to sign. After 13 years of unjust imprisonment, Mexican political prisoner Alberto Patishtan Gomez walked free on October 31. Over the course of his incarceration, the 42-year-old indigenous Tzotzil professor grew into one of Mexico’s leading voices protesting the unjust imprisonment of indigenous peoples, a widespread problem in the country where racism and violence against the indigenous communities is still rampant. From behind bars, he organized for the liberation for many of his indigenous companions. His final victory now is his own freedom, although he often said that he has always felt free, even when imprisoned, because he knew he was innocent. His first public appearance after gaining his freedom was not in his home state of Chiapas nor at the entrance of Prison Number 5 in the city of San Cristóbal de Las Casas, where he had been held. Instead, he was in Mexico City with his son Héctor, his daughter Gaby, and his niece Génesis. While still imprisoned, he had been transferred to Mexico City to receive treatment for the brain tumour that has been causing him to lose his vision. Supporters from across Mexico and from around the world have been organizing for Patishtan’s freedom ever since he was arrested and convicted of murdering Mexican police officers in a trial that was filled with flaws and corruption. Earlier this year, a Chiapas court denied his appeal, a significant setback in the case. His supporters then began to explore other possibilities, including a push for an amnesty or for release for humanitarian reasons due to his illness. But neither of those two possibilities moved forward. Finally, the path to his freedom came not through the judicial system but through the legislative branch. On October 23, 2013, the senate modified the pardon rules in Mexico’s federal penal code. It became known as the “Patishtan Law,” and President Enrique Peña Nieto used it to grant him a “special pardon” — distinct from the standard “presidential pardon,” which would have left Patishtan free, but still guilty in the eyes of the law. “No one pardoned Patishtan. The organized people achieved his freedom,” shouted activists upon seeing Patishtan finally free after 13 years of struggle. In addition to achieving Patishtan’s freedom, the campaign represents a victory against the Mexican judicial system, which is now forced to recognize its error. “What is now being recognized is that Patishtan suffered grave human rights violations, violations of due process, and that his innocence was not presumed,” said Sandino Rivero, Patishtan’s lawyer. To many who have been working for Patishtan’s freedom, the passage of this law is evidence of the widespread injustices in the Mexican legal system. “This is a victory that resulted from the sad failure of Mexican justice,” said Patishtan’s 17-year-old son, Hector, who has grown into a human rights activist during his father’s incarceration and has vowed to continue fighting for the freedom of other political prisoners still behind bars. Early in his incarceration, Patishtan saw so many indigenous prisoners who did not know how to defend themselves, didn’t have money for lawyers, didn’t speak Spanish and didn’t have access to interpreters. He began organizing prisoners to fight for their basic rights and to prove their innocence. At the first prison where he was held, everyone he organized with was freed, except for himself. Later, when he was transferred to another prison, he organized an action to burn the prisoner uniforms, since the imposition of this clothing meant the further loss of one’s individuality and personality. He also proposed camping in the prison’s patio, and over the years many prisoners stopped sleeping in their cells and organized a permanent occupation of the patio. In some ways, these acts of resistance made them more free. 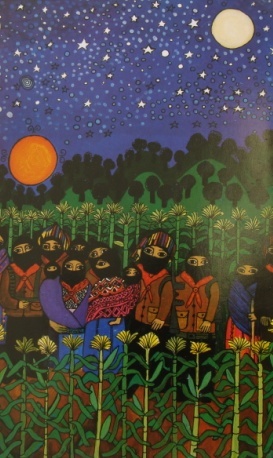 In 2006, when the Zapatistas launched “The Other Campaign” to unite with resistance movements across Mexico and in other regions, Patishtan and other prisoners decided to join the campaign. Through this broader network, the group was able to increase visibility about the injustices faced by indigenous political prisoners in Chiapas. Over the years Patishtan also organized a series of hunger strikes, which, despite his current illness, strengthened him physically and mentally. These strikes won freedom for many of his fellow prisoners, but it only brought him increased punishment. He was sent to a maximum security prison in the state of Sinaloa, thousands of miles away from his home state of Chiapas. There, for the first time, they cut his hair, which represented a loss of his indigenous identity. One’s hair acts as protection when working in the milpa, cornfield. Around that point, Patishtan also began to write letters himself. 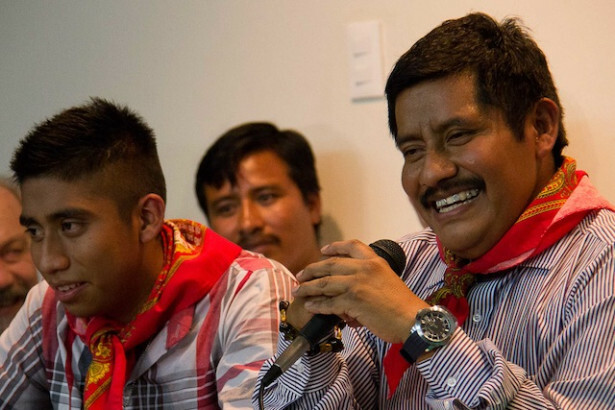 With the support of the People’s Movement in El Bosque for Patishtan’s Freedom and a number of human rights organizations, Patishtan was relocated to a prison in Chiapas after 10 months. There, after years of organizing, hunger strikes and outside campaigns, eight more of his companions were released. Once more, all of Patishtan’s companions were freed, except for himself and Alejandro Díaz Santíz, who remains incarcerated to this day. Patishtan’s release is heralded as a victory for the millions of indigenous people in Mexico, who continue to face discrimination within the media and the judicial system. It is also an example of how to use one person’s struggle to organize for many, such as Patishtan’s companions Pedro López and Juan Collazo who were freed earlier this summer. Despite the freedom of their teacher, the two said that they will continue organizing. “For Alejandro Díaz Santíz, Miguel Demeza Jimenez, Antonio Estrada Estrada, and for all of the political prisoners in this country, we will continue fighting,” says Pedro Lopez. This weekend, after finishing his medical treatment, Patishtan turned to his hometown, El Bosque, where he plans to continue organizing for the rights of poor and indigenous communities. In his eyes, the reverberation of his campaign is the most inspiring part of his own freedom. Translated from the original Spanish by Lela Singh. We send you our greetings. Once again we are informing you that we are doing a second and third round of the first grade of the Zapatista Little School, even though we only barely managed to cover our costs the first round, and this thanks to the fact that someone gave more to cover our compañeras and compañeros from near and far. That’s how we took care of the costs that couldn’t be covered by what had been collected in the donation jar. Even so, for the second and third rounds of the First Grade of the Little School we increased the number ofcompañeras and compañeros who could come, so that now we can receive up to 2,250 students in each round. That is, we had space for 2250 in the December 2013 round and 2250 in the January 2014 round. I say we “had” because both rounds have already filled up. In other words, the Zapatista people worked to be able to bring 1000 more students than came last August. Of course, the problem is to see if the 380 pesos per student will be enough to cover our costs, but ourcompañeras and compañeros from the support teams of the Sixth Commission tell me that many students are already organizing to get the payment together and won’t act the fool when they get to registration. And what we think is really great is that students who were already here with us in the first round are organizing so that they can help others come and learn with us. So it seems those students learned something while they were here. 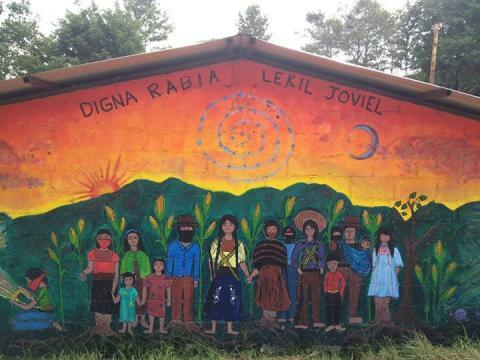 In the new magazine that we are going to release as well as in the writings we will be publishing on the Enlace Zapatista page, we’ll let you know our own evaluation of the Little School. In this magazine you will be able to read the words of the Votanes who took care of you, of the teachers, and of the families that received you. This will be their evaluation, that is to say their word and thoughts on what they saw and felt about the first students. Now, in the position of responsibility I have been given for the Little School, I want to let you know that the available spaces for both rounds have been filled. The round in December 2013 already has 2250 people, and so does the January 2014 round. In other words, we are already full compañeras and compañeros. We hope you sent in your request on time, and that it is filled out correctly, with no tricks. But if you didn’t make it into this round, don’t worry. We are going to see if we can do a fourth round in April or August of next year. We remind everyone that only those who are invited will receive registration codes. We say this because some people are trying to cheat by sending in their form without having been invited. So don’t cheat. These are the steps: you send your request for an invitation, you are sent an invitation, you send back the form, and you are sent your registration code. One very important thing that you have to understand is that the registration for the Little School is individual. In other words, you can’t write “I am coming and bringing two more people.” Each person has to request their own invitation because each student needs an individual registration because we board each person with a Zapatista family and assign them a Votán, a Guardian or Guardiana. That goes for everyone, man, woman, other, boy, girl, teen, adult or elder. Therefore it is important that each person send their registration request, those who have been invited that is, because those who don’t will not have a place in these rounds of the little school. You have now been notified. It is also important that you state which of the two dates you can come. Even better is if you say you can come on either date because that way we can accommodate you more easily. And please don’t register if you’re not going to come. We request that you let us know if you have an invitation but won’t be able to come, because otherwise you’ll take the spot of someone who wants to come but can’t because the spaces are already filled. We say this because some people did that in the August round, signed up and then never arrived. And they didn’t even have the good manners to give notice that they wouldn’t be coming. It is much better to notify us and give the spot to someone who can come this time, and then wait to see on which of the next dates you can attend. To our sisters and brothers in the National Indigenous Congress and of Original Peoples from all over the world, we remind you that later on we will have special encounters with you. We will all agree on the details of that together. Well compañeros of the Sixth, I will leave it at that and we hope that you can come and see with your own eyes and hear with your own ears our struggle for liberty. SupMarcos is going to continue writing to you later on, for now the cat-dog bit him and so the Insurgent Health Service is treating him. That is, they’re treating the cat-dog because he got hurt biting SupMarcos. In any case, I had him add some videos for you to think about or sing to or dance to and all that. Okay then. We’re here waiting for you. Greeting sent to the Zapatista Little School by our compañero the Honorary Insurgent Major Félix Serdán Nájera, who has been a rebel his whole life. 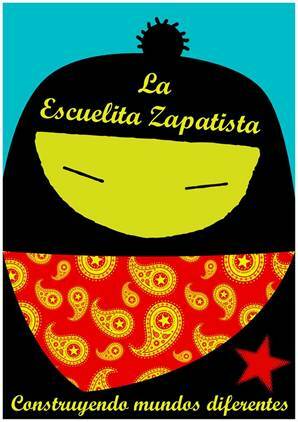 Video made by the compas of the Coordinadora Valle de Chalco Libre in their first grade course of the Zapatista Little School. Fernando Delgadillo warns us about the complicity between ignorance and Power. Compañeras and compañeros. As instructed by the EZLN’s Sixth Commission, we want to clarify a few things regarding the space full notice for the Little School. 1. Our spaces our full and WE WILL NOT ACCEPT NEW REQUESTS FOR INVITATIONS. 2. Those persons who requested their invitation, received it, and sent in their form but WHO HAVE NOT RECEIVED THEIR REGISTRATION CODE will receive it. The issue is that we go about accommodating each student as we receive instructions from the compañer@s Zapatistas. So you have your place, don’t worry. 3. For those who requested an invitation, received it, but have not sent in their forms, they should do so immediately, as they run the risk of not reserving their place. 4. For those who want an invitation for later dates that are yet to be defined, they should wait for the EZLN to announce the new convocation. In sum: we’re working our asses off. Pablo González Casanova, during the Course in Research and Education about Sustainable Development, which he is carrying out at the Institute of Social Investigations at UNAM. The original communities of Mexico and Latin America, in particular the autonomous organisation of the Zapatista peoples, are redefining the world from their positions, but not through an aldeismo (a narrow or isolationist view) or Indianism, but with a national and universal perspective, asserted Pablo González Casanova, ex rector of the Autonomous National University of Mexico (UNAM). During the sessions of the Course in Research and Education about Sustainable Development, which is being held under his coordination at the Institute of Social Investigations in this house of studies, and will end next Friday, González Casanova explained that the indigenous peoples hold a worldview (cosmovisión) in which differences in culture, religion, ideologies and political positions are respected. Within this context, the academic –who in 2011 was invested with an honorary doctorate by the UNAM – emphasized that Zapatismo is the most advanced project “coming from below” both on the continent and on a worldwide scale. This form of organization, he suggested, invites us, not to remake, but rather to build a new world. 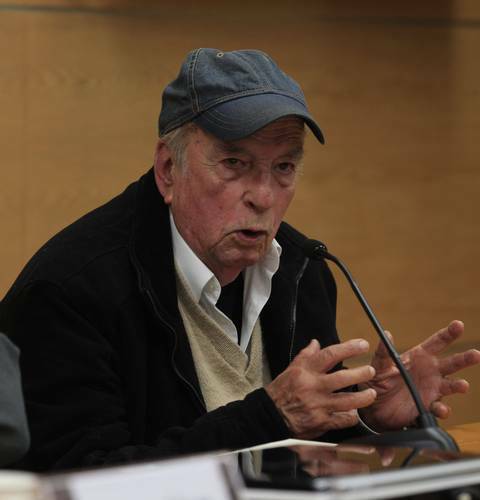 In an interview, he stated that the idea of these activities is that not only do the investigators participate, but also those being investigated, “since they are not objects but people, who tell us of their problems and, at times, of the solutions.” The objective of the course is for it to be repeated in other Spanish speaking countries, and even in Brazil or Portugal. Also –following the statutes of the UNAM–, it can be converted into a specialised study for postgraduate students and, eventually, into a masters programme. In one of the two sessions held yesterday, Gilberto López y Rivas talked about the systems of autonomous self-government in indigenous communities and emphasized Zapatismo’s horizontal organization of decision-making. He indicated that the current situation in the country, which is one almost of national catastrophe, makes essential the emergence of “an academia committed to finding paths to get out of the abyss into which the neoliberals have put us.” In this sense, he emphasized, the original peoples have systematically resisted the violence and trans-nationalization of neoliberalism. 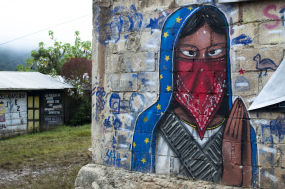 The Zapatista organization, he said, has shaped individuals into autonomous subjects who imprint a community aspect on to a global context where individualism reigns and which intends to eradicate support and solidarity. They have done this in spite of a context of counterinsurgency and political-military encirclement. Some of the innovations of this kind of self-government are the horizontality of decision-making and the relevance of the participation of youth and women. Besides, he added, the Zapatistas don’t present this approach as something unique or idyllic, but as one more form of organisation. In the previous session, Mariana Mora, from the Centre of Investigations and Higher Studies in Social Anthropology, spoke of the processes of cooperation among the communities. In particular, she talked about the Zapatista autonomous municipalities. TO PEOPLE OF GOOD WILL IN MEXICO AND THE WORLD. FIRST: We find that the level of family violence generated by the consumption and sale of alcohol within our communities is increasingly intensifying. The sale of alcohol primarily affects WOMEN and CHILDREN. The evils that it leaves us in the community are: physical and psychosexual violence, family breakdown, malnutrition, poverty and death. While the authorities collude in the consumption and sale of alcohol, they are breaking the agreements of the DRY LAW which is necessary in the life of our communities to allow the sale and consumption of alcohol. Today and always we demand the IMMEDIATE IMPLEMENTATION OF THE DRY LAW IN OUR MUNICIPALITIES. SECOND: We denounce the anomalies and dirty manipulation of the municipal authorities for the implementation of the San Cristobal – Palenque highway. We note the great National, Transnational and political-military interests. We are totally opposed to the construction of the highway since we consider that it will benefit only a few, IT IS A CURSE, DESTRUCTION AND DEATH FOR THE LIFE OF OUR PEOPLES AND COMMUNITIES. AND MOST IMPORTANTLY IT IS DESTROYING OUR MOTHER EARTH AND OUR TERRITORY. THEREFORE WE DEMAND THAT THE FEDERAL AND STATE AUTHORITIES CANCEL THE CONSTRUCTION OF THE HIGHWAY FROM SAN CRISTOBAL TO PALENQUE. THIRD: Our believing Maya Peoples DO NOT ACCEPT THE REFORMS: OF EDUCATION, FINANCE AND ENERGY. We reject the implementation of reforms in administration and tax collection, the increase in VAT, the constant increase in the price of gas and electric power, the privatization of public education. WE DEMAND THE REPEAL OF THE EDUCATION REFORM AND RESPECT FOR THE RIGHTS ACQUIRED BY THE TEACHERS. IN THE SAME WAY WE ASK FOR A CIVIL CONSULTATION ABOUT ENERGY REFORM. We demand that the authorities elected to SERVE THE PEOPLE promote laws that benefit the lives of the people. Even when we are not in favour of the structural reforms, we reject the negative actions generated by people and organizations that threaten third parties and the same defenceless people (sick, elderly, children and women) – in road blocks and unfair forced collections. As Maya and Believing People, we do not take part in the actions undertaken by governments, leaders, individuals or political organizations which impede the social development of our peoples. 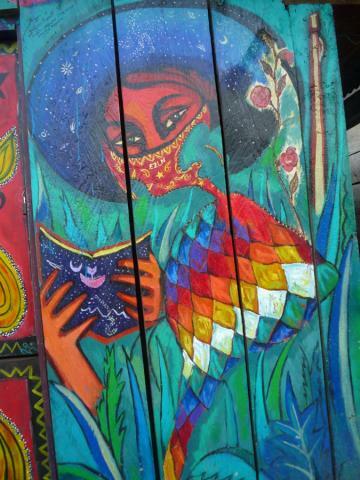 • Let us commit to defend and revitalize the spaces and the experiences of our communities; food, spirituality, economics, health, education, political system, languages, values​, ceremonies, culture and seeds and to pass on this project for life to the children and young people in our communities and cities. We rigorously accuse them of their crimes, we judge them and find them guilty. We are demanding that when the rule of law is restored they be brought to trial before the courts in order to pronounce against them the judgment that has already been reached by popular opinion and history. The Permanent People’s Tribunal [PPT] is the world’s most prestigious court of opinion. Its judgments have no legal effect, but its national and international impact is enormous. About two years ago, the PPT accepted well-founded charges against the Mexican government and opened its Mexico chapter, thus setting off a fascinating process. Communities and peoples gave content and meaning to the work of the intellectuals, scientists and experts who performed the technical tasks needed to proceed with the trial. What took place this week is just the tip of the iceberg. Thousands of people in hundreds of organizations, communities and towns across the country worked patiently to identify clearly and precisely the crimes committed, to document them with legal rigour and to prepare the formal case presentations. One of the most interesting aspects was to appreciate the transformation of the cases’ protagonists. The vague but deeply felt indefinable malaise displayed two years ago was now expressed in convincing, rigorous and effective presentations of well-defined crimes, their consequences and of the actions to follow. Control of their cases is also control of their own lives. The words were chilling. I do not want to exaggerate. 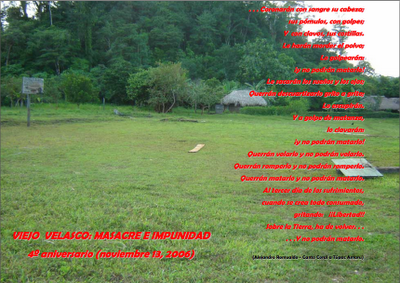 But it is possible that there might be no worse crime in Mexico than this [destroying food sovereignty]. Not only does it endanger the very existence of the nation, until it becomes nothing more than a poor colony of the United States with the worst of dependencies, its stomach. It also affects the present and future of the peoples and, indeed, the peoples of the entire world. Dismantling the livelihood of a people, the foundation of their culture, the main condition of their autonomous subsistence, is to condemn them to extermination. • The serious dismantling of the entire legal and administrative system of protection and support of the countryside and of the campesinos. • The role of the Free Trade Agreement (NAFTA) as a supranational mechanism for the dispossession of rural towns and peoples and for the occupation of much of Mexico to the benefit of a few transnational corporations and their domestic partners. Laws enacted in recent years clearly illustrate this sense of what is being done. • The invasion of the world’s origin of corn by means of genetically modified organisms betrays the past, severely damages the present, and endangers the future of Mexico and the world. • The extent to which the global food system, dominated by these corporations, is responsible for much of climate change and the world’s grave food situation: nearly one billion hungry people, half the world’s population with inadequate diets. The jury demanded a total ban on GMOs in Mexico and the abandonment of NAFTA. It recognized the moral courage of the communities and indigenous peoples who defend the corn throughout Mexico and affirm their autonomy, the importance of resistance before the government and corporations and the global significance of their struggle. The jury flatly stated that to defend Mexican corn is to defend the future of the world. Only one phase of the tribunal’s work has been concluded. Many other activities will be held leading up to the final hearing of the tribunal in about a year. Without a doubt, what happened this week–by demanding the punishment of those responsible and by directing the long task of repair and regeneration of the damages that they have caused–is a valuable contribution that enriches the struggle of our peoples to resist those who have been committing one of the worst crimes that has ever been perpetrated against Mexico and against its peoples. 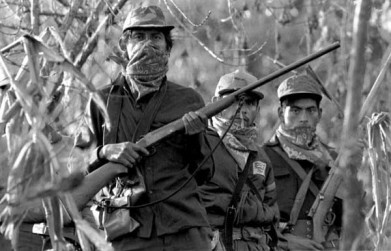 In recent days, we have learned of new denouncements from the Zapatista Good Government Juntas. 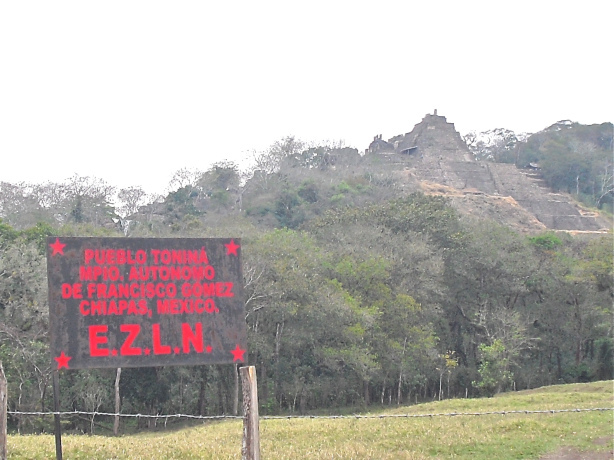 One, dated November 8, reports that yet again the support base compañero Cruz Espinosa, rightful owner of a piece of land which is situated at the foot of the pyramid of Tonina in this archaeological site in Chiapas, is once more being persecuted and harassed by the authorities of the bad government; the compañero has been suffering various attacks for many years, as evidenced by previous denouncements from the Good government Junta of La Garrucha, the first of which dates back to 2008; on this occasion he is accused of having cut down a small tree, which was cut with the authorisation of the Good Government Junta and the Autonomous Municipalities in the area, and whose wood was used in the craft shop which the Junta operates at the entrance to the archaeological site . Shortly after, on the 12th, we learned of a new attempt at the dispossession of lands recuperated in 1994, this time on lands belonging to the ejido 10th of April which have been worked by the compañeros and compañeras support bases ever since its recuperation, and even before, since they worked there as paeons, before January 1, 1994, when they recuperated the land to work, now as free men and women and in community. Those who seek to take away their land now are campesinos who did not receive land when the ejido to which they belong, 20th of November, divided up their ejidal lands following the dictates of the bad government; and now, supported by the organization CIOAC historical, they are trying to take by force the land the Zapatista compañeros recuperated from the hands of the landlords almost twenty years ago, part of which is now used for producing coffee, corn, beans and bananas and the rest, mountainous and rich in the plants and animals of the mountain, has been declared an Ecological Reserve . We want to raise our voices, along with those of the Zapatista compañeros and compañeras to denounce these acts and declare that we will not remain silent about any form of aggression. Les trois passants, Paris, Francia. Here we explain the reasons behind this strange title and those that will follow, narrate the story of an exceptional encounter between a beetle and a perplexing being (that is, more perplexing than the beetle) and the reflections of no immediate relevance or importance which occurred therein; and finally, given a particular anniversary, the Sub tries to explain, unsuccessfully, how the Zapatistas see their own history. “So, what is to be done?” asks Durito. “Avoid the trap which holds that freedom is the power to choose between the two imposed options. This is our history, our way of seeing it and of seeing ourselves, our way of thinking ourselves, our way of making our path. It is ours, with our errors, our failures, our colours, our lives, our deaths. It is our freedom. San Sebastian Bachajón is located in the central jungle area of the state of Chiapas, in the official municipality of Chilón, Zapatista Autonomous Region San José en Rebeldía. The location of this place has geostrategic importance because it contains a natural area with strategic resources such as land, water, biodiversity in flora and fauna, cultural knowledge, and so on. Therefore, for a decade and a half, the government has been trying to strip the ejidatarios of all the wealth of the area; the first step was to “safeguard” the territory through designating it as a Protected Area for Flora and Fauna (APFyF). 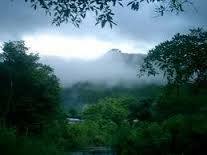 The paradigmatic place is the Agua Azul Waterfalls Biosphere Reserve, where the strategy of land grabbing has been carried out, at least since the nineties, through the demagoguery of “eco-tourism” promoted by the government of Chiapas since Juan Sabines; it is used for the extraction, sale and rent of land and, therefore, for the accumulation of capital. This biosphere has a high capacity for carbon capture, abundant water, and great potential for tourism, which means that the political class and transnational corporations are behind the scheme. However, this territory is fortunate to have had as its guardian (votán) the men and women of San Sebastian Bachajón, since before the call to organize and defend the territory against greedy capitalist politics made through the Sixth Declaration of the Lacandón Jungle; in 2008 over 1800 ejidatarios, adherents to the Other Campaign, chose to manage the ticket booth of this tourist complex, exercising their right to the use and enjoyment of their territory. Alongside this came the entry of private companies, since March 2008 the companies Norton Consulting, Inc. and EDSA Construction, in the context of the implementation of the Mesoamerica Project, better known as Plan Puebla Panama (PPP), have sought to exploit the area for tourism, bringing with it the construction of hotel complexes and transport infrastructure, such as the San Cristobal-Palenque highway and the expansion and relocation of the airport at Palenque. All planned jointly through the state and federal government, with the complicity of the National Fund for Tourism (FONATUR), the Secretariat of Tourism of the State of Chiapas, the secretariat of tourism and international relations, the Ministry of Communications and Transport ( SCT), the Federal Prosecutor for Environmental Protection (PROFEPA) and the National Institute of Anthropology and History (INAH), among others. 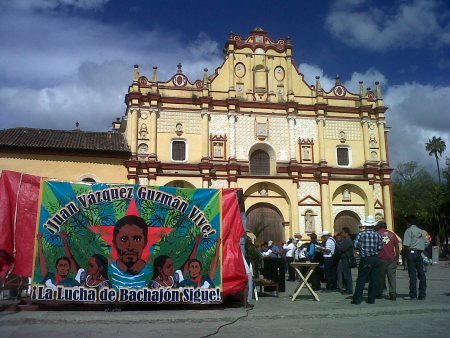 In short, the struggle to defend San Sebastián Bachajón is the struggle against national and local political mafias and against capitalist corporations eager to dispossess indigenous peoples of their natural resources, their community and their culture. Current situation: between community building, attacks and harassment. Last September, by agreement of the assembly, it was decided to set up a new gravel quarry, for their own community; they, unlike the authorities, think it should benefit any community member regardless of whether they belong to the organization or not. This quarry will allow them to “control” a resource of the ejido, but the authorities are arguing that the gravel extraction is damaging an ecological reserve, which is completely false, since the compañeros can prove with legal documents that this is not true. They are not only discrediting the works through the media, they are also currently threatening to send public forces to evict the camp which is guarding the quarry. On account of its struggle, Bachajón has suffered various forms of harassment and persecution against members of the organization, as in the case of the compañeros Antonio Estrada Estrada, who is being held in el Amate, and who is being charged with the crime of assault on a highway, for allegedly attacking a convoy of federal police while in possession of a firearm, and Miguel Demeza Jiménez, who is currently in cereso # 5, on a charge of robbery with violence; ultimately, we know that the two are being charged for their participation in the struggle. According to a report in the daily el Heraldo de Chiapas, dated November 7, “the state government is discussing some matters concerning the indigenous of the ejido San Sebastián Bachajón in Chilón municipality, who are being held in prisons in the municipalities of La Libertad and Playas de Catazajá, who could be beneficiaries of a pardon,” said the Secretary of Government Óscar Eduardo Ramírez Aguilar. Another case which is in impunity is the kidnapping of Herminio Estrada Gómez, aged 18, on 5th November in the community of Xanil 2nd section, in the ejido San Sebastián Bachajón, they also took his pointer vehicle; fortunately he has been released, but not before attempting to extort 40,000 pesos from him. Currently the compañeros are filing a complaint against the illegal kidnapping of the compañero, indicating judicially those who perpetrated it: Santiago Álvaro Moreno the officialist deputy ejidal commissioner, along with Juan Álvaro Moreno and Santiago Álvaro Gómez – all three are neighbours, from the community of Xanil 2nd section – and Manuel Jiménez Moreno from Pamalha community. One of the most unfortunate occurrences which the compañeros have suffered is the assassination on April 24th this year of Juan Vázquez Guzmán, who was murdered outside his home. Since that time there has been no evidence of any effective investigation into his murder, and neither the material nor the intellectual authors of the crime have been identified or punished. It seems to be another example of the impunity which so often prevails in the case of crimes against the indigenous peoples of Mexico. At this time it is hoped that the Supreme Court of Justice of the Nation will take on the case of the community, the lawyer Ricardo Lagunes said in an interview: “this procedure of amparo 274/2011 is for dispossession of land through violence by public forces. The case is before a Federal Judge, and on two previous occasions they were denied a judgement in their favour, on the contrary, their right to defend their land was not recognised. Currently the second application for review by the Third Collegiate Court in Tuxtla Gutierrez, Chiapas, is being resolved, and in the near future there will be a response to the request to take the case to the Supreme Court”. It is important to state that the case has reached a tragic level through the assassination of Juan Vázquez who was the one who promoted the amparo. So, the struggle of the compañerxs is of great relevance at a global level, not only because of the denouncements that have been made, but also for the creation of the proposal for an autonomous struggle, based in their indigenous worldview (cosmovision) and for the freedom of the indigenous peoples. There is national and international support such as the letter campaign proposed by the by the UK Zapatista Solidarity Network, to send or deliver the letter (below) to your nearest Mexican government office, embassy or consulate, as well as to the media and other organizations. 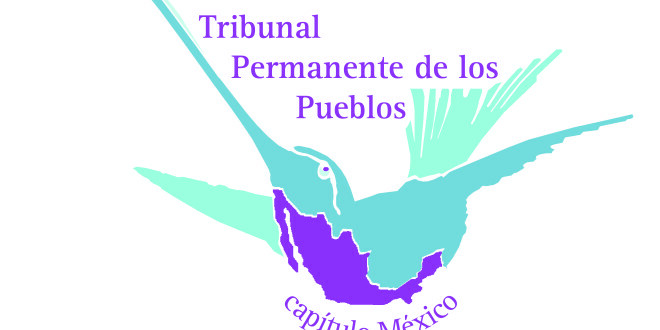 In session in Mexico is the Permanent Peoples’ Tribunal (PPT), a prestigious international body that for almost fifty years has brought together juries made up of international experts to hear and adjudicate on violations against the people. Founded by Bertrand Russell and Jean Paul Sartre, it presented to the world the atrocities committed during the Vietnam War and then those committed during Latin American dictatorships. Much that we know today about those attacks would not have been made public without the peoples’ testimony before this Tribunal and the broadcast work that they perform. The Mexico Chapter of the TPP was installed in October of 2011. TPP Mexico Chapter held its first session in May of 2012 in Ciudad Juárez, implacable mirror of the country’s devastation. Dozens of social organizations–unions, human rights, peasants, women and sexual diversity, environmentalists and others–came to present testimony, laying down a baseline for Mexico’s record. 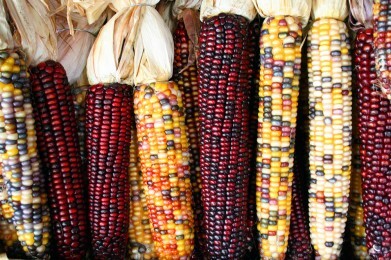 Violence against Corn, Food Sovereignty and Autonomy (November 19-21). Repression of Social Movements (November 22-24), where fifty (50) cases will be presented. Under the core themes of Environmental Devastation and Corn, respectively coordinated by the National Assembly of Environmentally Affected Groups and the Network in Defence of Maize [Corn], 25 preliminary hearings have been held, in which 140 environmental cases and 70 attacks against corn and food sovereignty were documented. During the general hearings, pre-hearing [testimonies] are summarized and emblematic cases are presented before the national and international juries, including Gianni Tognoni (TPP, Italy), Larry Lohman (England), Marco Ferreira (Argentina), Antoni Pigrau (Spain), Dora Lucy Arias (Colombia), Luis Macas (Ecuador), Andrés Carrasco (Argentina); alternative Nobel prize winners Tony Clark (Canada), Camila Montecinos (Chile) and Pat Mooney (Canada); joined by Mexican experts Gustavo Esteva, Joel Aquino and Raúl García Barrios. Scientific preliminary hearing at the UNAM [National Autonomous University of Mexico] organized by the Union of Concerned Scientists Committed to Society (UCCS) and titled “Genetically Modified Crops in Mexico” with an emphasis on Corn. In different but converging ways, strong evidence was exposed in both pre-hearings of the harm caused by the introduction and planting of genetically modified organisms [GMO] and the toxic pollution they entail, in addition to the corruption that accompanies them so the government might allow planting of GMOs despite the clear [injurious] impacts and disadvantages. On the Yucatán Península, the government authorized planting of 258,000 hectares of GM soybean, of which 14,000 hectares have been planted. The effects have been devastating for thousands of campesino beekeeping families, whose bees die as a result of the pesticides. Moreover, since the pollen is contaminated by the GMO, they cannot sell the honey. The seepage [filtración] of pesticides increases with GMOs. This seepage has already begun in the Peninsula’s underground rivers, which are the only ones in the world. This seepage will destroy another of Mexico’s treasures, while at the same time it contaminates drinking water and destroys flora and fauna. This is added to the many plunders to which the Maya people have been subjected–a battering that has gone on since the Conquest. Proud and stubborn, the Maya peoples continue to resist. They defend their communities, a fact which was recognized by the adjudicators who attended there. The scientific pre-hearing had 23 solid testimonies that clearly show that the GMOs are a failed technology that brings no benefit. 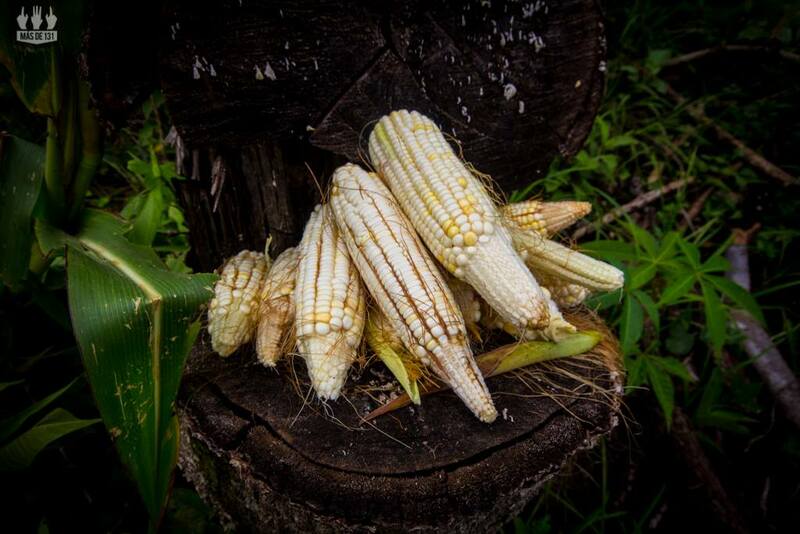 GMOs carry with them irreversible risks to the biodiversity, risks to human and animal health, and to the more than 23,000 varieties of campesino corn that are a fundamental part of the culture and diet throughout Mexico. Documentary evidence was also presented of the corruption that is rife among many of the officials and scientists who have taken part in decisions about bio-safety, against the evidence of independent science committed to society and critical of the GMOs. Several cases will be presented at the upcoming hearings. 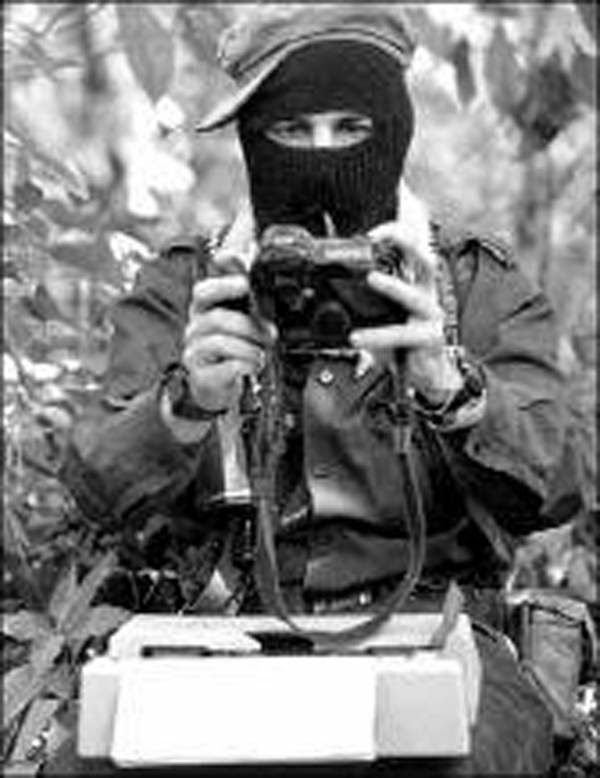 ¡Feliz cumpleaños, EZLN! Happy 30th Birthday! I ask you to imagine that on a day like today, but thirty years ago, in 1983, a group of people in some clandestine house were preparing the tools they would take to the mountains of southeast Mexico. Perhaps twenty years ago today the day was spent checking equipment, gathering information about the roads, alternative routes, the weather, and specifying itineraries, orders, arrangements. Perhaps twenty years ago today, at this time of day, the group was boarding a vehicle and starting their trip to Chiapas. If we could be there now, perhaps we would ask those people what they were up to. And they would have undoubtedly answered: “We’re going to found the Zapatista Army of National Liberation.” They had waited fifteen years to say those words. Let us suppose, then, that they begin their trip on November 10, 1983. Some days later they reached the end of a dirt road, picked up their equipment, said goodbye to the driver, put on their backpacks, and began climbing one of the mountains that, facing westward, traverse the Lacandon Jungle. After walking many hours, carrying fifty-five pounds on their backs, they set up their first camp up in the sierra. Yes, it’s quite possible that it was cold that day, and perhaps it even rained. On the upper left hand of the sheet he wrote the name that they gave to this first stop on a voyage that everyone knew would be very long. 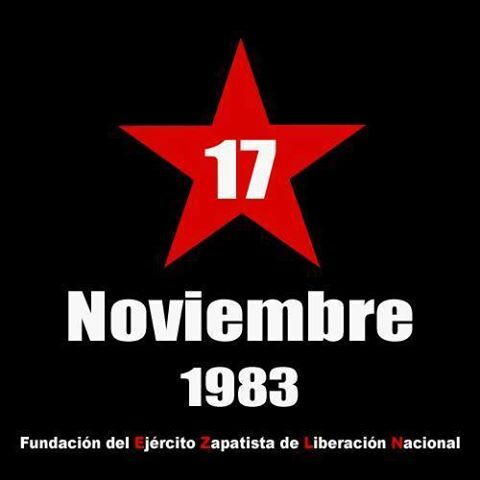 There was no special ceremony, but on that day and at that time the Zapatista Army of National Liberation was founded. Someone probably proposed a name for that camp, we don’t know for sure. What we do know is that the group was made up of six people, the first six insurgents-five men and one woman. Of those six, three were mestizo and three were indigenous. The ratio of 50 percent mestizo and 50 percent indigenous members has never been seen again in these twenty years of the EZLN. Neither has the proportion of women (less than 20 percent in those early years). Today, twenty years after that November 17, the percentage is probably 98.9 percent indigenous and 1 percent mestizo. The proportion of women is close to 45 percent. From north to south, the peoples, nations and tribes are facing one of the worst attacks against them. Businessmen in collusion with governments, organized crime, local chiefdoms, laws made for the transnationals, complicit agrarian courts and lack of consultation, enable land dispossession both in the Yucatan Peninsula (Campeche, Yucatan and Quintana Roo); and many miles north in Chihuahua and Sonora. The issue is that both the Maya and the Yaqui, the Rarámuri and the Guarijío, create forms of resistance and fight legal battles without stopping the mobilizations to defend their territory, because what is at stake is the life and continued existence of their people. All see it clearly. The Maya laid it out at the Indigenous National Congress (CNI) last August, as well as in the pre-hearing of the Permanent Peoples’ Tribunal (PPT). And in the north the Rarámuri explained it during the Fourth Forum of the Peoples of the Sierra Tarahumara in Defence of the Territory. The natural resources of these peoples are threatened or have been devoured. In the peninsula, the fight is, for example, against GMOs, which are flooding the fields with modified soya, causing serious consequences to the beekeeping which has been practiced in the region since time immemorial. Here is fully documented the “grabbing of lands and commons, the socio-environmental and territorial destruction and the eradication of the social fabric that is part of an orchestrated plan for the displacement and emptying of the territories” (TPP). In the north the cases are not very different, with the added ingredient of harassment from organized crime. The constant threats against the original people from “the people who come from outside” (as they say here, so as not to name those who planted and trafficked poppies and marijuana), has meant in recent years increasingly more Rarámuri and Odami fleeing to the city of Chihuahua. In this forgotten area, remembered only when a “humanitarian emergency” is televised (like the alleged suicides for lack of food in the Sierra Tarahumara), the main problem is neither hunger nor cold, but the dispossession of land and natural resources, the lack of recognition of ejidos and communities by individuals, the invasion of tourism projects, the changing of boundaries, the death threats against people who oppose those who strip them of their land and culture. Resistance from the north to the south is also apparent. The Rarámuri and the Maya are not willing to cease to exist. As they have shown for centuries.